Jan Hus, sometimes Anglicized as John Hus or John Huss, also referred to in historical texts as Iohannes Hus or Johannes Huss) was a Czech theologian, Roman Catholic priest, philosopher, master, dean and rector of the Charles University in Prague, church reformer, inspirator of Hussitism, a key predecessor to Protestantism and a seminal figure in the Bohemian Reformation. After John Wycliffe, the theorist of ecclesiastical reform, Hus is considered the first Church reformer, as he lived before Luther, Calvin, and Zwingli. His teachings had a strong influence on the states of Western Europe, most immediately in the approval of a reformed Bohemian religious denomination, and, more than a century later, on Martin Luther himself. He was burned at the stake for heresy against the doctrines of the Roman Catholic Church, including those on ecclesiology, the Eucharist, and other theological topics. After Hus was executed in 1415, the followers of his religious teachings (known as Hussites) rebelled against their Roman Catholic rulers and defeated five consecutive papal crusades between 1420 and 1431 in what became known as the Hussite Wars. Both the Bohemian and the Moravian populations remained majority Hussite up until the 1620s, when a Protestant defeat in the Battle of the White Mountain caused the Lands of the Bohemian Crown to return under Habsburg control and become a subject to a campaign of return to Roman Catholicism. 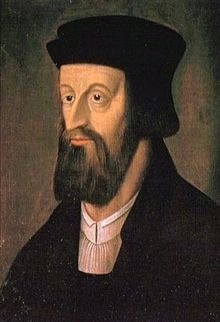 Jan Hus was born in Husinec, Bohemia, c. 1369. At an early age he traveled to the Imperial City of Prague, where he supported himself by singing and serving in churches. His conduct was positive and his commitment to his studies was remarkable. In 1393, Hus earned the degree of Bachelor of Arts at the University of Prague, and he earned his master’s degree in 1396. In 1400, he was ordained as a priest. In 1402 Hus began preaching inside the city demanding a reformation of the Church. He served as rector of the University of Prague in 1402–03. He was appointed a preacher at the newly built Bethlehem Chapel around the same time. Hus was a strong advocate for the Czechs and the Realists, and he was influenced by the writings of John Wycliffe. Although church authorities banned many works of Wycliffe in 1403, Hus translated Trialogus into Czech and helped to distribute it. Hus attacked the Church by denouncing the moral failings of clergy, bishops, and even the papacy from his pulpit. In 1406, two Bohemian students brought to Prague a document bearing the seal of the University of Oxford and praising Wycliffe. Hus proudly read the document from his pulpit. In 1408, the Charles University in Prague was divided by the Western Schism, in which Gregory XII in Rome and Benedict XIII in Avignon both claimed the papacy. Wenceslaus felt Gregory XII might interfere with his plans to be crowned Holy Roman Emperor. Alexander V died in 1410 and was succeeded by John XXIII (also later declared an antipope). In 1411, John XXIII proclaimed a crusade against King Ladislaus of Naples, the protector of rival Pope Gregory XII. This crusade was preached in Prague as well. John XXIII also authorized indulgences to raise money for the war. Priests urged the people on and these crowded into churches to give their offerings. This traffic in indulgences was to some a sign of the corruption of the church needing remediation. Hus asserted that no Pope or bishop had the right to take up the sword in the name of the Church; he should pray for his enemies and bless those that curse him; man obtains forgiveness of sins by true repentance, not money. By this time, Hus’ ideas had become widely accepted in Bohemia, and there was broad resentment against the Church hierarchy. The attack on Hus by the Pope and Archbishop caused riots in parts of Bohemia. Wenceslaus and his government took the side of Hus, and the power of his adherents increased from day to day. Hus continued to preach in the Bethlehem Chapel. The churches of the city were put under the ban, and the interdict was pronounced against Prague. To protect the city, Hus left and went into the countryside, where he continued to preach and write. Before Hus left Prague, he decided to take a step which gave a new dimension to his endeavors. He no longer put his trust in an indecisive King, a hostile Pope or an ineffective Council. On 18 October 1412 he appealed to Jesus Christ as the supreme judge. By appealing directly to the highest Christian authority, Christ himself, he bypassed the laws and structures of the medieval Church. For the Bohemian Reformation, this step was as significant as the 95 theses nailed to the door of the Wittenberg church by Martin Luther in 1517. 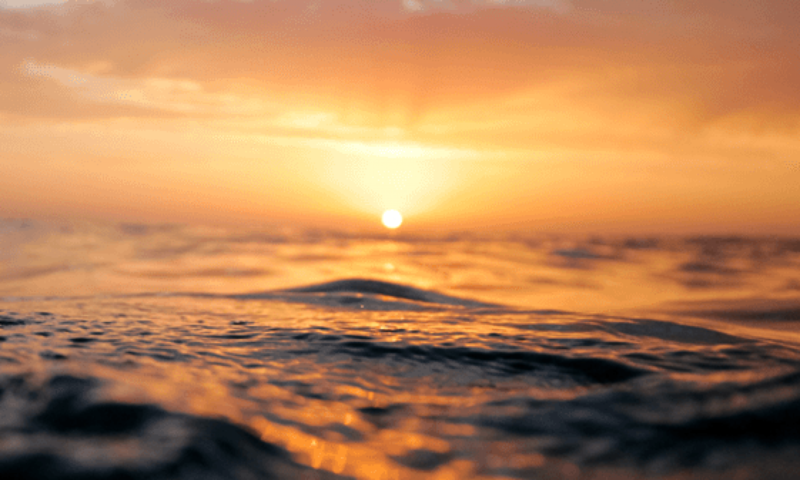 After Hus left Prague for the country, he realized what a gulf there was between university education and theological speculation on one hand, and the life of uneducated country priests and the laymen entrusted to their care on the other. Therefore, he started to write many texts in Czech, such as basics of the Christian faith or preachings, intended mainly for the priests whose knowledge of Latin was poor. On 5 June 1415, he was tried for the first time, and for that purpose was transferred to a Franciscan monastery, where he spent the last weeks of his life. Extracts from his works were read, and witnesses were heard. He refused all formulae of submission, but declared himself willing to recant if his errors should be proven to him from the Bible. Hus conceded his veneration of Wycliffe, and said that he could only wish his soul might some time attain unto that place where Wycliffe’s was. On the other hand, he denied having defended Wycliffe’s doctrine of The Lord’s Supper or the forty-five articles; he had only opposed their summary condemnation. King Sigmund admonished him to deliver himself up to the mercy of the Council, as he did not desire to protect a heretic. The condemnation took place on 6 July 1415, in the presence of the assembly of the Council in the Cathedral. After the High Mass and Liturgy, Hus was led into the church. The Bishop of Lodi (then Giacomo Balardi Arrigoni) delivered an oration on the duty of eradicating heresy; then some theses of Hus and Wycliffe and a report of his trial were read. With curses, Hus’ ornaments were taken from him, his priestly tonsure was destroyed, and the sentence of the Church was pronounced, stripping him of all rights, and he was delivered to secular authorities. Then a tall paper hat was put upon his head, with the inscription “Haeresiarcha” (i.e. the leader of a heretical movement). Hus was led away to the stake under a strong guard of armed men. 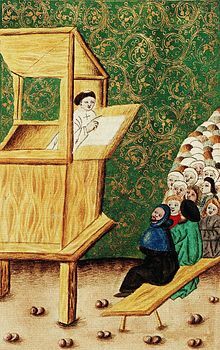 Responding with horror to the execution of Hus, the people of Bohemia moved even more rapidly away from Papal teachings, provoking Rome to pronounce a crusade against them (1 March 1420): Pope Martin V issued a Papal bull authorising the killing of all supporters of reformers like Hus and Wycliffe. But the doctrine was seized eagerly by the radical party, the Taborites, who made it the central point of their system. According to their book, the Church is not that hierarchy which is generally designated as Church; the Church is the entire body of those who from eternity have been predestined for salvation. Christ, not the pope, is its head. It is no article of faith that one must obey the pope to be saved. Neither internal membership in the Church nor churchly offices and dignities are a surety that the persons in question are members of the true Church. Although Bohemia was the site of one of the most significant pre-reformation movements, there are only few Protestant adherents remaining in modern times; mainly due to historical reasons such as persecution of Protestants by the Catholic Habsburgs, particularly after the Battle of White Mountain in 1620; restrictions during the Communist rule; and also the ongoing secularization. Jan Hus was a key contributor to Protestantism, whose teachings had a strong influence on the states of Europe and on Martin Luther. Jan Hus is considered as a martyr saint in some jurisdictions of the Orthodox Church.